Rotarians are encouraged to visit other Rotary clubs while traveling or to “make-up” a missed meeting at another local club. There are multiple ways you can find a club by using Find a Club on the left. 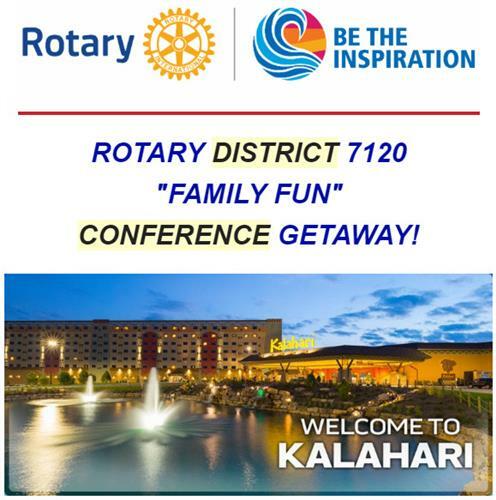 If you can’t find a Rotary Club meeting that fits your schedule, there are other options. One option is to attend a regular meeting of a local Rotaract Club, Interact Club, Rotary Community Corps or Rotary Fellowship. Another option is to make-up the meeting Online. Rotary International allows all of us to do a make-up online by doing thirty minutes of interactive time on a Rotary web site. Makeup online @ Rotary E-Club One (Follow the instructions on the website to obtain a make-up). Participate in an interactive activity on other E-Club sites: Click Here to find an E-Club using the RI Club Finder. If you complete a make-up using any of the options lists above, remember to send your make-up information to your club secretary within 14 days of the club meeting that you missed. Rotary International bylaws state that a member can make up for a missed meeting within 2 weeks before or after the meeting. If you anticipate missing a meeting, you can make up for it up to 2 weeks before that date. If you miss a meeting, you have up to 2 weeks after the missed meeting to make up. Members do not have to make up for times when the club does not meet. If a member attempts to make up at another club and that club either did not meet that week or changed venues, the club member can let their club’s secretary know the date and time of the attempted make-up and it will count as a makeup towards a missed meeting.